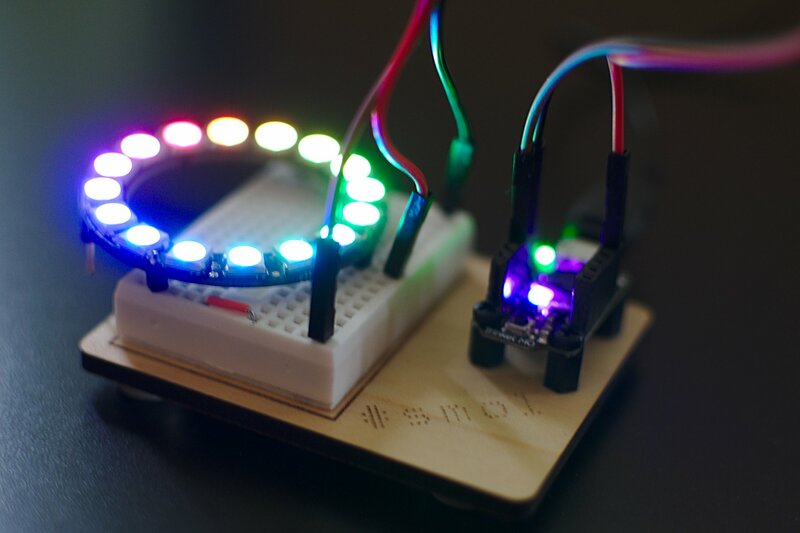 Tiny breadboard: either a tiny or a Mini one. The board markings match either. 2× 1×5 female header — I cut down a 1×12 female header. 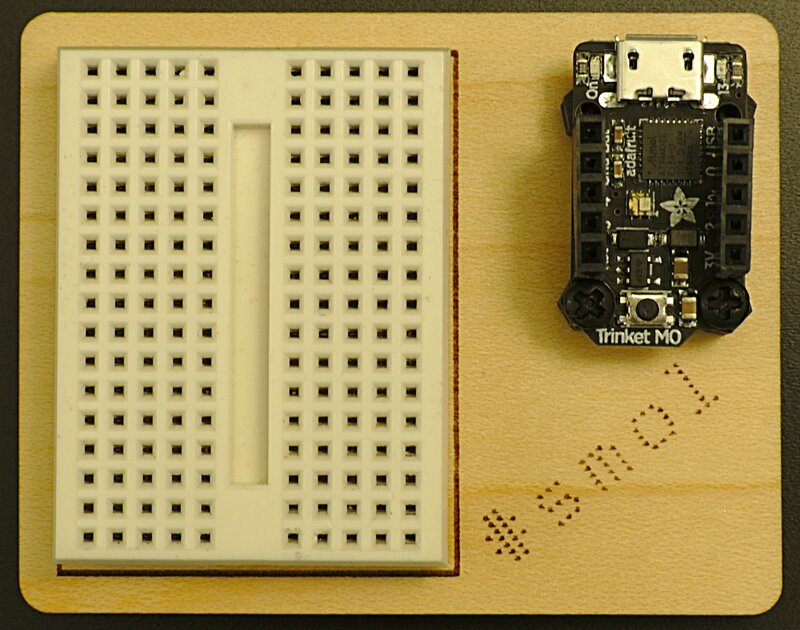 make the breadboard outline a score line rather than an etched area. Scoring is much quicker than etching. Mark pin definitions on the plate. They’re a bit hard to read on the Trinket M0.